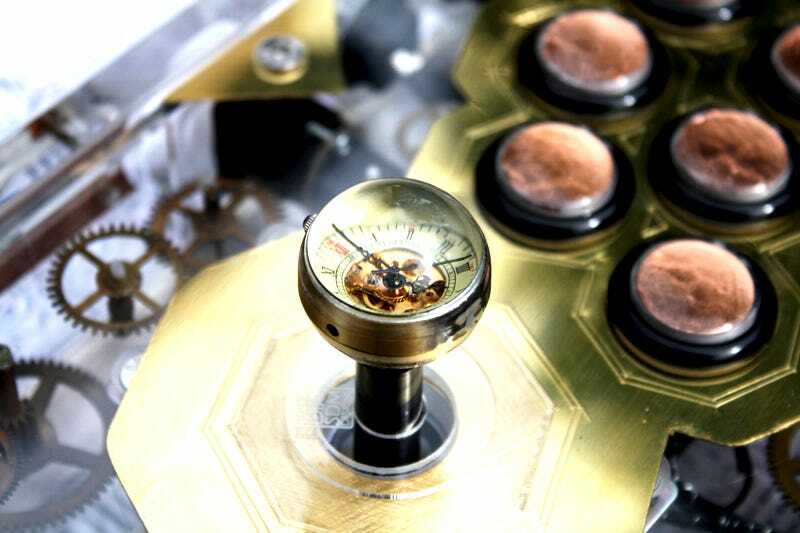 Sam Kurd from B15SDM Designs didn't add a little steam punk to his custom fight stick, he added a lot. Everything is crafted just for this custom piece, save for the Seimitsu buttons. Seimitsu is a famed Japanese arcade button maker. There's also a blue-green LED light at the bottom of the fight stick, and the buttons light up in white light when pressed. Stunning stuff.